This February half term (22nd to be precise), Sunderland Stages and the National Glass Centre is hosting a maritime adventure for children aged 6+ and their families to enjoy with Spirits of the Sea. Families will be invited to step inside a magical hut to hear an enchanted tale from long ago accompanied by live music and puppetry. The story will tell the tale of a little fishing village where the villagers have thrown their worries out to sea, causing the sea to become angry. This scares the villagers and they don't know what to do. Can one little girl calm the angry sea and stop the villagers from being afraid? You'll have to watch the performance to find out. Theatre can often be an expensive outing for families but tickets to watch Spirits of the Sea are extremely reasonable at just £6 per person or £20 for a family of 4 (+ booking fee). There are three performances at 10:30am, 1pm and 3:30pm. 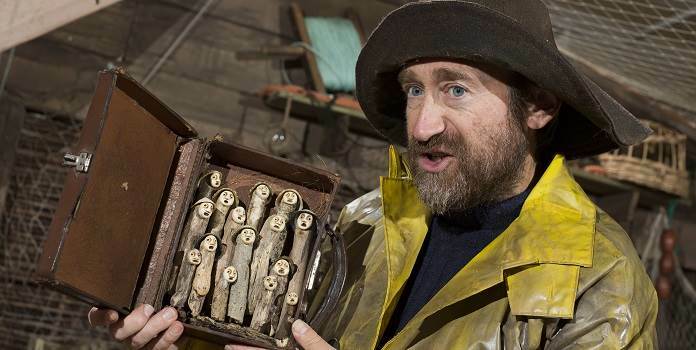 Sunderland Stages have provided us with one family ticket (for up to 4 people) to giveaway for the 1pm performance of Spirits of the Sea at the National Glass Centre on 22nd February. To be in with a chance, simply enter via the rafflecopter below. Hi Pamela, within 48 hours of the giveaway closing (in 20 days time). Had no idea this was on, will definitely be taking my little boy along!